AfC Info :: SEND Local Offer / Latest News / What do Father Christmas, lifeboats and children and young people with disabilities have in common? Well...... on Sunday 9th December Father Christmas attended a Christmas party at the Windham Croft Centre in Richmond. The party was for the group of children and young people with disabilities who regularly attend the Short Break sessions that are run at the centre by Achieving for Children (AfC). How do the lifeboats fit in to all of this? 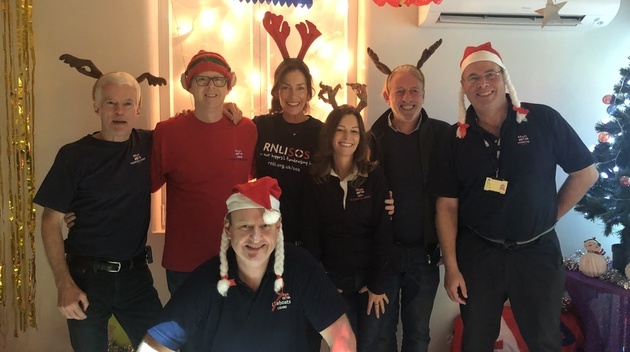 The lovely people from Teddington RNLI offered to fund presents, party food, provide support with decorating the centre and generally make the party a magical experience for the children and young people. This was a great example community partnership working and the support staff at Windham Croft, AfC and the children and young people would like to say thank you for making it special and fun.